Rainer never had the cash flow to make his muscle grow. With the help of some friends, mentors and old-fashioned hard work, he finally stepped into the light. In 2009, I wanted to improve my strength and the appearance of my body. I thought that it would be great to have wide shoulders and big arms. So I started going to Estonian Defence Union's (similar to the National Guard) gym, because I couldn't afford to pay for other gym memberships. They only had the basic stuff there, a bike, a bench press and some free weights. I made quite good progress there so eventually I did set some goals to compete in the future. A few months later, local classical bodybuilder Imre Vahi put together a training group for young athletes. One of my friends sent me the advertisement and I decided to join. I was immediately accepted without any physical tests. He became my trainer and we started to work toward the competitions ahead. He has been my mentor and a good friend ever since. In autumn 2010 I joined Tartu University's Sport Club, because they offered me a chance to train for no money, bringing some relief to my very strict budget. I changed my trainer in 2011 as well and I hope that Silvar Rückenberg can help me to attain new heights. I train six days per week, doing a seventh workout on Tuesdays for my abs and lower back. I do different lower back exercises administered by my physical therapist, because I have a small lordosis. I go through about four 3-month training cycles a year. First when I am using heavy weight, 3-4 exercises per body part and 8-12 reps. Second when I use almost maximum weight, 3 exercises for muscle groups, 4-8 reps. And third when I drop the weights, I do 3-4 exercises per body part, 8-12 repetitions in order to have a recovering cycle from two previous heavy cycles. I do rotator cuff exercises for warm-up. My second meal of the day is 3 scoops of protein powder and one teaspoon of glutamine mixed with water. Before workout I take one teaspoon of creatine and one teaspoon of beta-alanine with 200ml of juice. Post workout shake is 3 scoops of protein powder, one teaspoon of glutamine and one scoop of high GI complex carbs mixed with water. Between sixth and seventh meal I take one capsule of Omega-3 and one capsule of multivitamins-minerals. The feeling I get from the workouts and seeing my body grow is just outstanding. It is so good that I love to experience it for hours. Too bad workouts never last for that long. The feeling of blood rushing through your veins is so good. I love my leg days and despite the matter that walking home takes twice as much time after it as it usually does it still is so great, I wouldn't change it for anything. I like to look good and have strength. I love it and it does not scare away the ladies either. I never have to feel embarrassed while walking down the road or lying on the beach. Also I believe that we have been given our bodies as pure as possible when we were born, and it's now our order to take care and develop them in every way possible. 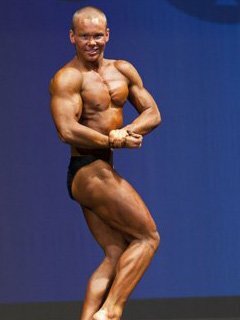 I had a dream of posing on stage, being the biggest in my family and possibly in my home town. I used to have a big brother, now he is only my older brother and we both love it. Also having defined abs and the classical V shape. And a dream to motivate someone else in my life, as different people have inspired me through years. It all drove me past and over obstacles, gave me strength and kept my spirit happy in order to carry on. I would like to gain more lean muscle and keep the proportions. My plan is to reach international competitions. For example to compete in European Championships in classical bodybuilding up to 170cm to start with. Make sure to do all the preparations on time so you wouldn't have to worry about different things on competition day. And don't worry or feel nervous about your opponents. You can't change how they will look on the stage but you can work on yourself. So don't waste any time or energy thinking of them, but use all of that to work on you. Practice your compulsory poses and posing routine over and over and over again. Keep detailed notes about your workouts and diet, study them in order to find out what really works the best for you. My all time favorite athlete is Kai Greene. His philosophical approach and all the videos he has made are so motivational. I personally find those mindset techniques to be true and work great if you use them. I listened to Treadmill confessions all day long when preparing for my last competition. I still have them on my mp3 player and know them by heart already. Sometimes I visualize him saying all those things straight to me and it feels great. He can fill me with energy and motivation from miles away. And all of this comes without ever meeting him in person. I love the BodySpace environment. Also I read a lot of articles and watch all the possible competition reviews. I have participated in 8 different competitions during my career as a competitive athlete. 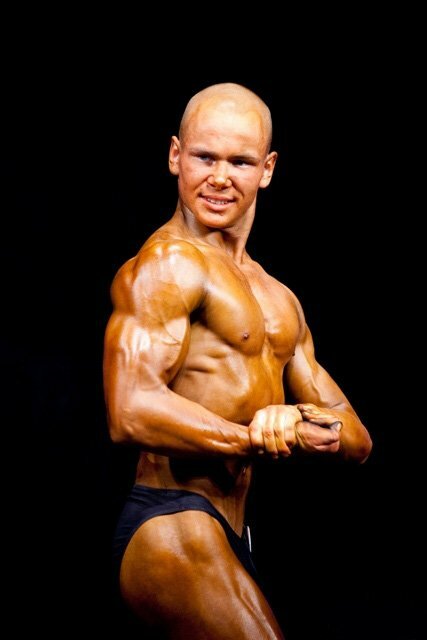 The highlight came in April 2011, when I took part in the Estonian Championships in Bodybuilding and I became the Estonian Overall champion in Youth and Junior Bodybuilding.